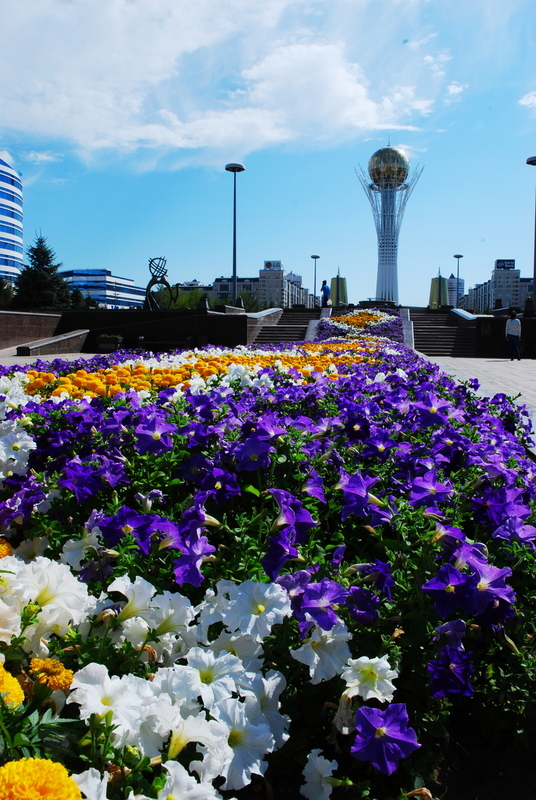 I am a little slow in getting some the photos of our first days in Astana. Finally I have the first batch edited and up online. The photo on the left will take you to the album. The photos are from our walk down the Nurzhol Boulevard (formerly the Green Water Boulevard). This is a pedestrian walkway the goes all the way from the President's residence called Ak Orda to big tent. The official name of the big ten is Khan Shatyr. It has a shopping and restaurants and on the top floor an indoor beach with pools. Very expensive from what I hear. Although might be worth the cost in the -40 winter days. Glad to see you guys getting out and about!